The Indian populace has more inclination towards the gold metal than any other nationals on this planet. The purpose is mainly to buy jewellery or to buy for investment purpose or many times a combination of both. Drastically changing trend of gold prices has confused the Indian customers whether to buy or sell. Investors purchase gold as a hedge against monetary, political, or societal fiat currency predicament such economical crunch, currency failure, price rises and social turbulence. Gold has been perceived as a safeguard particularly during periods of financial and economic pressure. The gold market is difficult to predict through future contracts and derivatives. In the contemporary economic situation of India, the gold rate is determined by supply and demand as well as by assumption. Inconsistency of gold prices is highly dependent on the Central banks and the International Monetary Fund. Economists have accepted that there is a close relation between interest rates and gold prices. When interest rates increase, gold price falls. In India, more than two-thirds of annual gold demand is for jewellery. India is the main consumer for ornaments made from gold therefore the changing nature of gold directly impacts on selling rate. Generally investors purchase gold in the form of gold coin or gold bar for purposes of investment. However consumers are also sometimes reluctant to invest in gold because it cannot be predicted by financial experts. There are several factors that greatly affect the gold price. Gold works on price equality that initials 10g of gold have the same value on an international scale, therefore international prices are vital. Gold is invested as a social and economic protection. Furthermore, gold is used as a hedge against movement in the US dollar. At a Global level, all commodities are traded in dollars. Gold price and dollars have a strong relationship. Since India is a major importer of gold internationally, therefore if the rupee depreciates in comparison with the dollar, it has a considerable impact on the gold rate. With the decline of the rupee against the dollar, the cost of importing gold has gone up. The Government of India also advises Indian people to think about other investment options other than gold. The effect of an increasing trend of international gold prices is clearly visible and reflected in its domestic prices. Due to rapid changes in gold prices, Indian customers are confused to buy gold items. Indians have major investments on gold, and its varying nature troubles them. It has been assessed that demand of gold in India is always high but it is at the peak in the wedding season and on festivals such as Diwali. 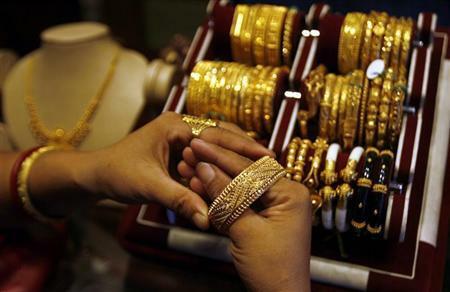 The seasonal factors sometimes push gold prices in India. Many investors in India purchase gold as a usual hedge against price rises because India has varying inflation rate and gold can be used as a buffer.